Just after Christmas the sky is filled with multi-colored kites that means just one thing; The surfers have arrived! 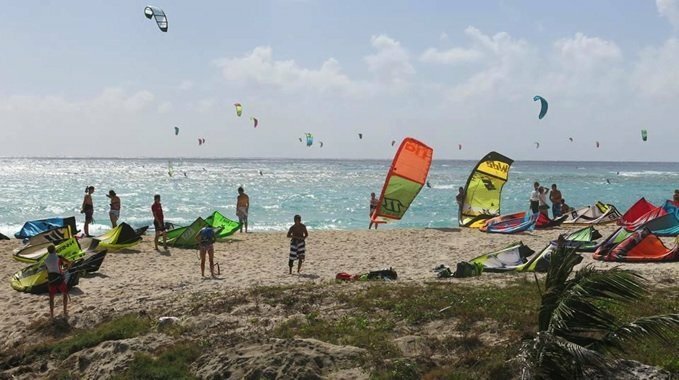 Between December and April the trade winds pick up and kite & wind surfers from all over the world come to Barbados to take advantage of our beautiful climate and beaches. Barbados is the perfect place for those who want a relaxing and carefree time by the sea. Gemini House sits right between two of the very best beaches for wind and kitesurfing on the island; Long Beach & Silver Sands. Both are just a short walk from our backyard and are perfect for kite or windsurfing. Long Beach is a two mile stretch of white sand that sits between the back of the airport and Inch Marlowe point. It's one of the longest stretches of beaches on the island - which is where it got it's name from. This area of the island is still mostly undeveloped and since Long Beach is not the best spot for swimming due to the strong currents - most of the time it's empty. That usually changes during the peak surfing months when Long Beach comes alive with kite surfers who want to avoid the crowds and need plenty of room to stretch out and surf. Even during the peak season, Long Beach remains relatively quiet. Silver Sands Beach is just the opposite. 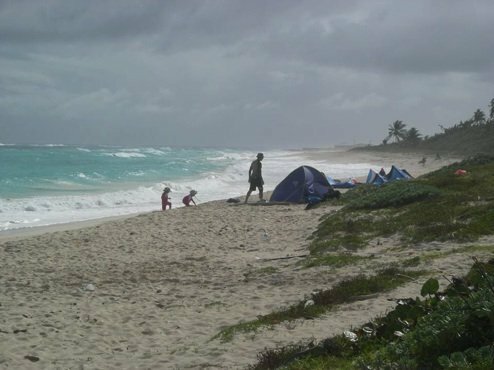 A smaller beach about a half mile in length, Silver Sands is more of a social event for surfers. On a busy day you can see as many as fifty kites all in the air at the same time! Everyone always has a great time. There are also several small restaurants, bars and a rental shop where you can rent all your surfing gear or get repairs if needed. Gemini House is close enough to the action of Silver Sands where you can be there within a few minutes, but far enough away so if you want a quiet, relaxed vacation you can chill out and the end of the day and enjoy the cool trade winds on our back porch or fire up our barbeque for lunch or dinner. With only three guest rooms you can be assured that it will never be too noisy or crowded at Gemini House Bed & Breakfast!